Time to Go to Church: A Time to Fear and Dread? 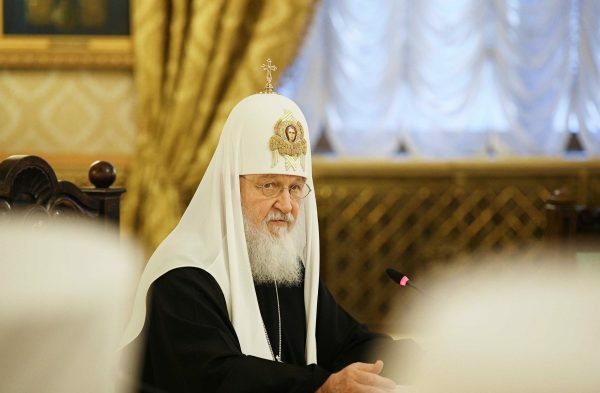 Opening the latest session of the Russian Supreme Church Council yesterday, His Holiness Patriarch Kirill of Moscow and All Russia shared his thoughts on the problems faced by priests’ families in our time, reports the site of the Russian Orthodox Church. One of the reasons for this deterioration, the Russian primate said, is the harmful effects of mass culture. “After all, the families of clergy do not live in isolation, so everything that concerns any person, his mind and heart, also concerns the families of clergy,” Pat. Kirill said, calling for intensified efforts to assert family values and protect the younger generation from the propaganda of so-called free love. Family morality, including in clergy families, is not a given, Pat. Kirill continued. Continuous effort is needed to strengthen the marital union and the integrity of the family. There are, of course, priests whose families really are a little church, though this comes from the blessing of God and not the mere fact of the husband being a clergyman and the wife being brought up in a Christian spirit. “This is not enough, because every day of marital life can challenge family relations, including because of negative influences on the familial relations from outside,” the Russian primate said. A priest and his family must give an example for the people to emulate, and thus seminary education should focus on preparation for family life as part of the preparation for pastoral service, Pat. Kirill said. Bishops should also have a healthy focus on the families of their priests. He should not interfere in the familial life but should be a good father and adviser and a person who can come to the rescue when a priest’s family life is put to the test, the Patriarch explained. “When I was the Metropolitan of Smolensk, I loved to hold meetings of the clergy with their matushkas. I thought it was very important. First, I had the opportunity to see their relationship, to see their matushkas. After all, you see a priest more or less often, and everything that concerns his family life remains hidden,” Pat. Kirill said. “I think these meetings made a positive impression on the clergy. Therefore, I would appeal to all the ruling bishops not to exclude concern for the family well-being of their clergy from the sphere of their archpastoral responsibility,” His Holiness concluded.